Police raided Lil Wayne‘s mansion in Miami Beach on Tuesday and seized more than $2 million worth of property, including several pieces of artwork, TMZ reports. 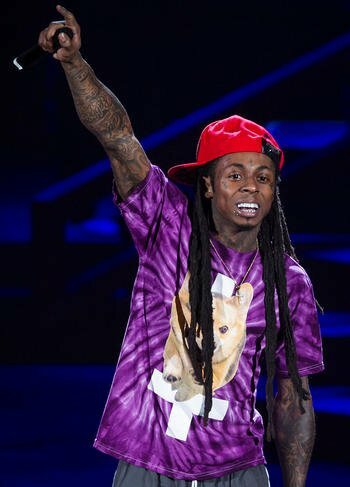 The seizure was carried out to satisfy a civil lawsuit in which Lil Wayne – whose real name is Dwayne Carter Jr. – owes more than $2 million to a private jet company. A Miami judge signed an order on Sept. 30 allowing police to seize that much in property from the rapper’s home, and they did just that on Tuesday afternoon. Lil Wayne had more than $30 million worth of art hanging in the home, according to TMZ, and an appraiser participated in the raid in order to tell authorities which pieces to take. Police also reportedly confiscated a number of plaques, but it’s unclear whether any of those were awards that Lil’ Wayne has received for his albums.